Though there are attempts of higher highs now that most coins are yet to break away from key support lines and still trading inside that strong bullish engulfing candlestick of Aug 17, odds are today sellers might snap back and confirm the eight month bear trend. 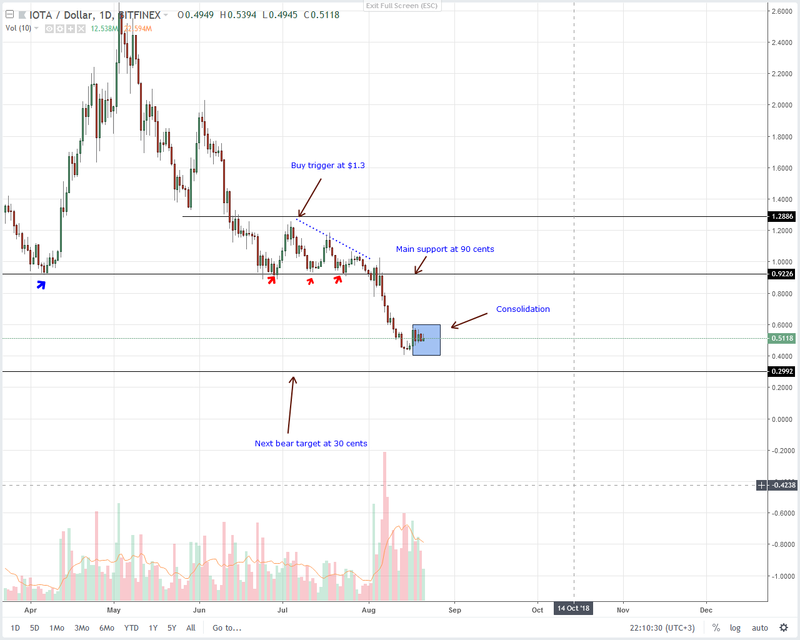 As seen from the chart, Litecoin, Tron, Stellar and even IOTA registered losses with EOS printing a seven percent loss yesterday. It’s back to red territory for EOS. Accompanying this depreciation is a seven percent drop in the last day effectively nullifying last week’s attempts for higher highs. Judging from the chart, our EOS trade plan is clear: Sell on every high going forward now that yesterday’s price action was limited with sellers failing to breach Aug 20 lows. Considering the general layout of candlestick in the last 20 days or so, our bear break out pattern which went live after Aug 8 high volume break below $7 confirming June 22 break below $9—the upper limit of our last consolidation is now live. As such, and as per our iteration in our last EOS technical analysis, fading the trend by buying is counter intuitive especially if we bring into the picture the strong bear trend of the last eight months. 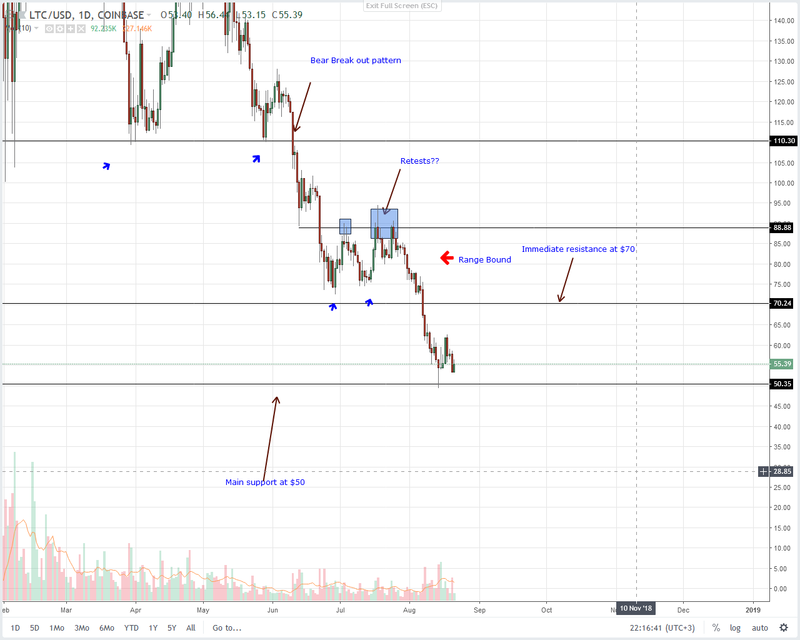 From the chart, LTC prices are confined within a $15 trade range defined by our immediate resistance at Aug 17 highs at $65 and lows at $50 as marked by the lows of Aug 14 pin bar. While we retain a bearish projection, buyers might build up momentum and break above $70 cancelling our sell stance. If not and there is a dip below $50, then we recommend shorting on pull backs in lower time frames with stops at the break out highs with first targets at $30 as laid out in our last LTC trade plan. Of all the coins under our review, Stellar Lumens looks promising. 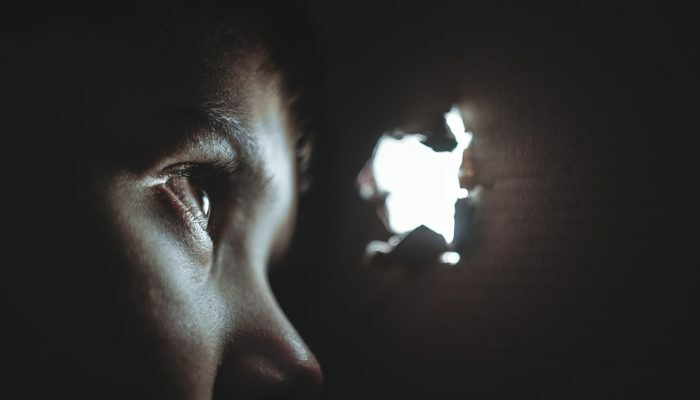 Not only did it recovery and rebuff sell pressure once Facebook launching rumors began doing rounds but the simple fact is that XLM is steady and is actually one of the top performer in the last month or so. 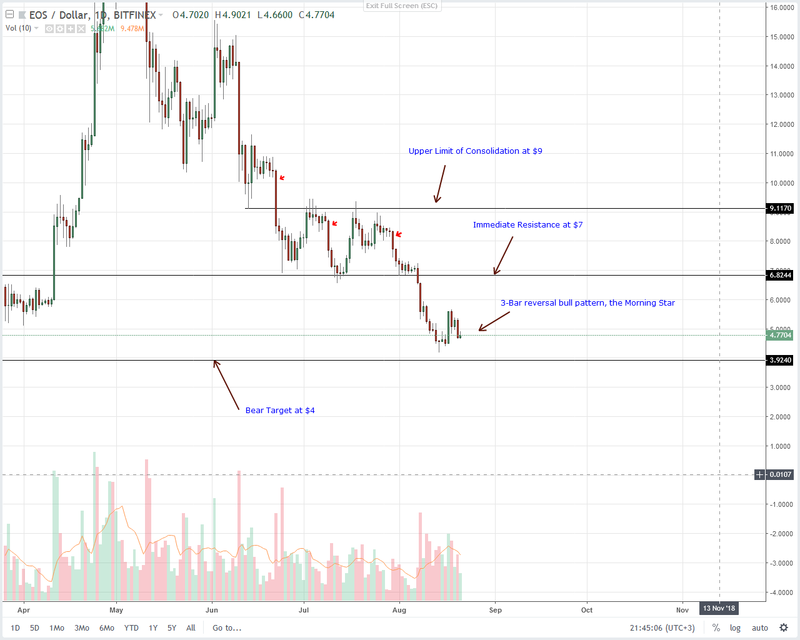 For now, Stellar Lumens sellers appear to have an upper hand following yesterday’s six percent drop and since the overall trend is bearish, odds are we might see further depreciation today more so after prices dip below our minor one week support trend line as marked in the chart. Once that happen, we shall recommend risk off traders to sell on every high in lower time frames with stops above the break out candlestick and first targets at 15 cents and later 8 cents. On the flip side, conservatives can take a neutral stand and trade according to our laid out Stellar Lumens trade plan only initiating trades once XLM bulls edge prices above 26 cents on the upside and 18 cents on the downside. Like most coins, not only are TRX prices moving within tight ranges but yesterday’s price action failed to breach below or above Aug 20 high low. 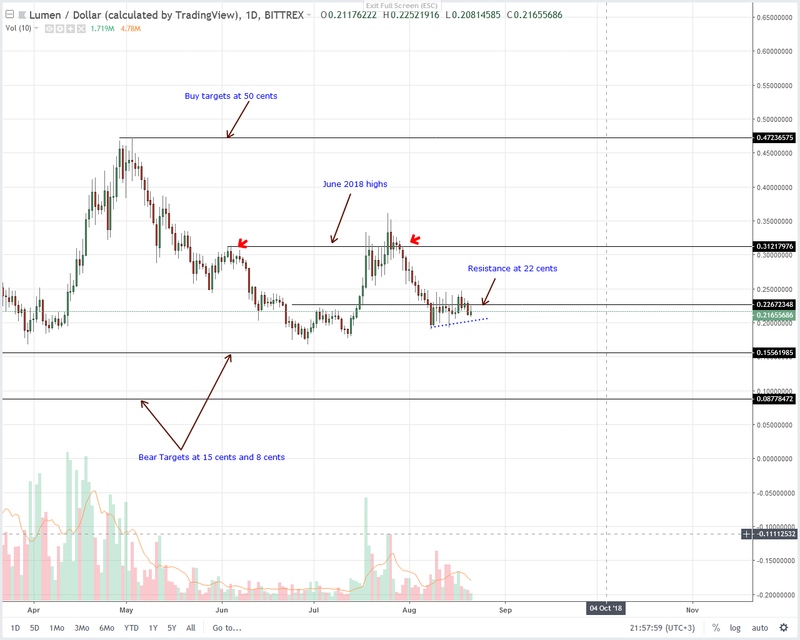 In that case, our previous Tron (TRX) is solid and going forward, short term aggressive traders would be free to initiate shorts only when there is conclusive high volume close below 1.8 cents as they sync with the general trend with first targets at Jan 24 lows. If not and say buyers build up enough momentum confirming Aug 17 Morning Star bullish reversal pattern and edging past 2.2 cents, then we recommend low size longs with first targets at 3 cents as the retest phase is completed. If anything, yesterday was the fourth day of yet another lower time frame consolidation inside Aug 17 high low. This not only validates our previous trade plans but builds up momentum of a potential break above or below 60 cents or 45 cents. 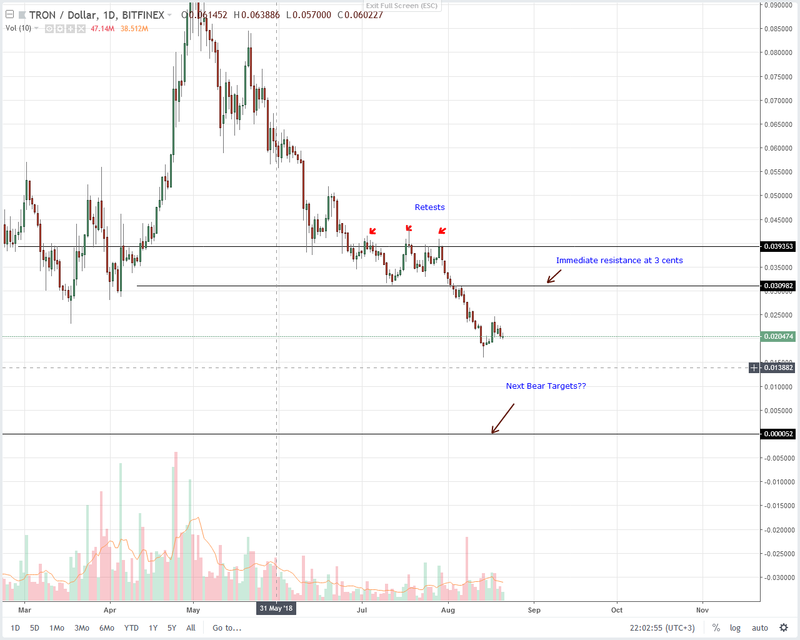 Though altcoins sentiment has been bright in recent days, chances are we might see lower lows and snap back to trend more so if there is a break below 45 cents today or in coming days. It’s because of this reason that we suggest holding off trades until after there is a solid trend definition.